Coffee, chocolate and chili are three things I can not be without. And to think that the three fits so well with the chicken. Boil the water with the coffee. Season the chicken and put down the coffee. Simmer for about 20 minutes. Remove the chicken and fry it in oil. Serve it after a good color with roasted vegetables. mmm. . . the chicken looks delicious. 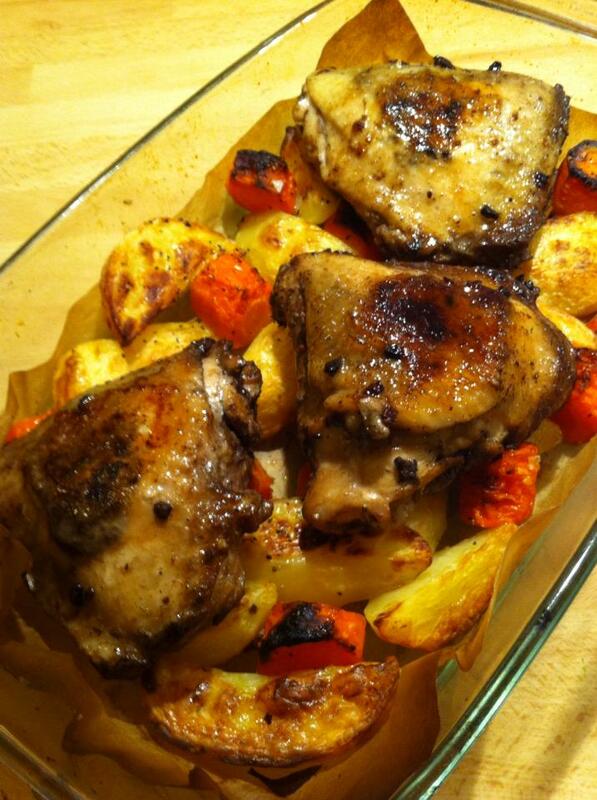 I’m sure this is a flavorful dish…thanks for sharing this different way to prepare chicken.